Garage doors have a well-deserved reputation of being rather dangerous. Attempts to repair them by people without training can result in gruesome injury. However, as time went on, engineers developed ways to make them safer for users. This is especially important when dealing with one of the biggest movable objects in the household. So without further ado, read on and find out more about the improvements that have been made to garage door safety and security. In addition to the photo eye sensors which will cause the door to reverse in case they detect an object in the door's path, there have been some other security and safety developments in the field. The first innovation is the sheer variety of materials used to construct your garage door. Each material is best suited to a very particular use. For example, materials are used to make the door very tough so that people cannot break into it and steal your things or harm your family. So having a tough door is very important, especially if you have children. 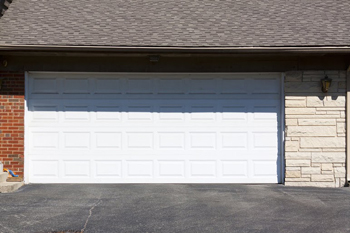 One of the most common problems with garage doors is that people forget to close them when they leave the house. This means that the garage and its contents are left open to the elements and to anyone who may want to help themselves to some plunder. In order to compensate for poor human memory, some garages have been fitted with timers which automatically close the door after a specified time has closed. This guarantees your security even if you are a tad forgetful. Another interesting security feature that can be added to your garage door is a motion detector. This means that if anyone comes creeping around your garage at night, a light will automatically flicker on. This makes detection of intruders easier, as well as making it safer for you to use during the hours of darkness. These are just some ways garage doors have been improved.